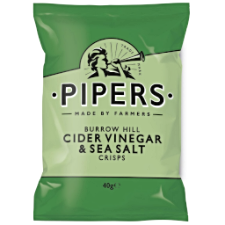 Pipers Crisps Burrow Hill Cider Vinegar & Sea Salt available in 40g bags. Somerset is the heart of one of only three vintage cider apple growing areas in England. Cider has been made at Burrow Hill Farm in Kingsbury Episcopi for 150 years and Julian Temperley is passionate about continuing this tradition. The conditions at the farm are perfect for growing the finest cider apples, with 150 acres of orchards devoted to heritage English varieties including the wonderfully named Brown Snout, Stoke Red, Henry Masters and the legendary Kingston Black. 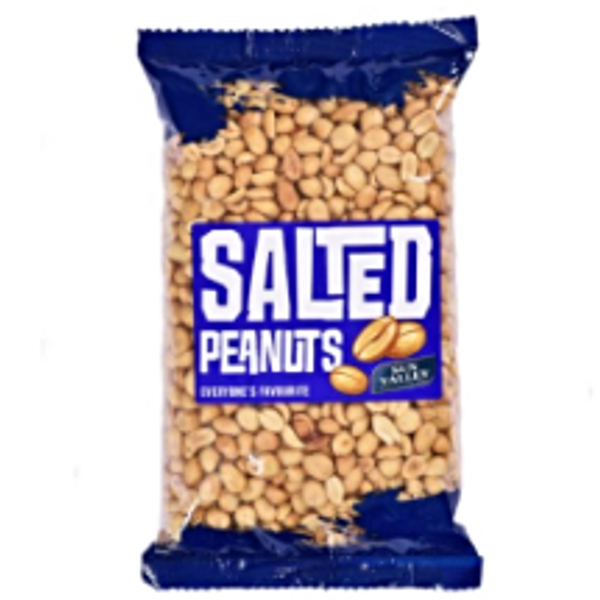 These are expertly pressed to produce some of the world’s most highly prized cider, cider brandy, liqueurs and the delicious cider vinegar that helps make Pipers crisps taste so good.